2018 flew by, and we once again experienced change and growth on an unprecedented level. From completing our first off-island projects (TED 2018 and Vancouver International Film Festival) to opening a new workshop space, it’s been quite the adventure! We were hard to lose sight of in the early months of 2018 with a variety of press and public-facing exposure opportunities; from our feature article in YAM Magazine to our involvement with the My Blue Bridge social campaign. Our co-founder, Christina, even sat on a panel with fellow Douglas 10 to Watch Winners at the annual SOHO Summit for Entrepreneurs and Small Business Owners. Ever since opening our business in Victoria, we’ve dreamt of gracing the pages of YAM Magazine, Vancouver Island’s premiere design and lifestyle publication. In January 2018, our wish came true with a two-page spread and feature article about our creative and unique digital design process. We were honoured to be featured in the issue alongside other talented local creatives, including fashion designer Dee Ellis and shoemaker Bao Ly. In the early months of 2018, Robazzo was involved in BRIGHT YYJ and My Blue Bridge’s campaign to retain steel from the (now gone) iconic Blue Bridge for use in local public art. We designed all the print and web graphics, curated the social media presence, and played host to the very first Nerd Jam put on by the Victoria Design Nerds. While our Blue Bridge efforts didn’t exactly yield the intended results, the significant amount of media attention (TV and radio interviews on CBC Radio, CFAX and CHEK News) and a public petition helped to shift the conversation around public art, community engagement, and creative placemaking in Victoria. 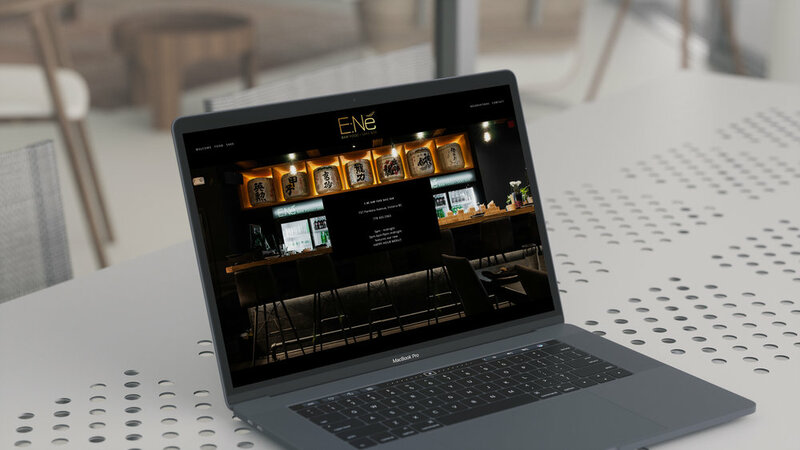 In early spring, we took on a wide range of branding projects, including MuseMe Designs (a local artisan jewelry designer), E:Né (a high-end Japanese sake bar) and Northstar General Contracting (an established Victoria construction company). 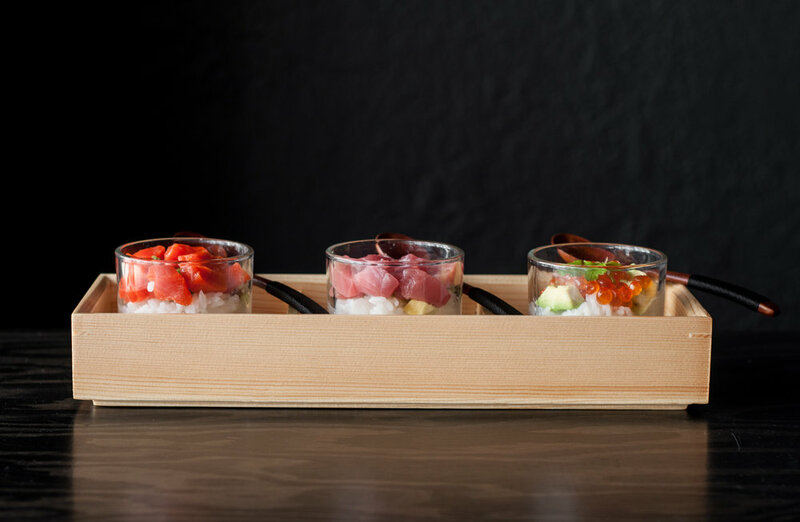 Created by the owners of Victoria’s popular NUBO Japanese Tapas, E:Né Sake Bar boasts B.C.’s largest sake collection paired with a gourmet raw food menu. Having designed several graphic and industrial elements for the original NUBO, we were approached again to design a complete branding package for their new venture. We took care of logo design, font choice, food photography, and website design, giving them a complete brand image to be proud of. 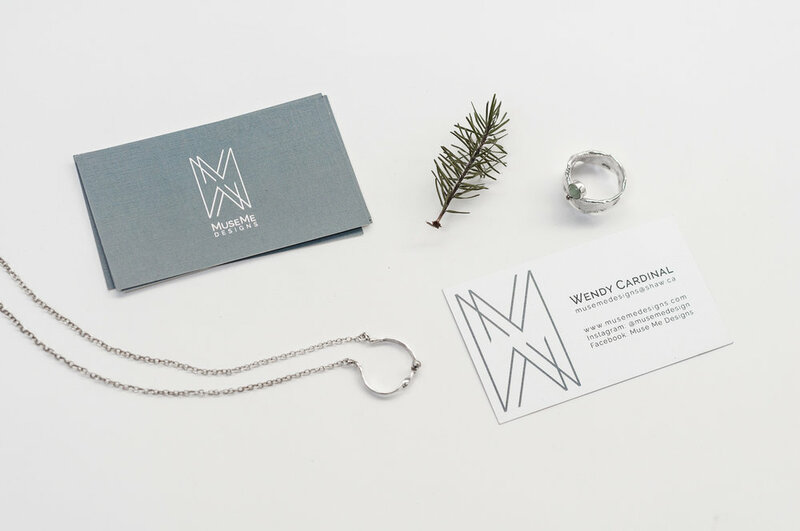 Local jewelry designer Wendy Cardinal of MuseMe Designs asked for a fresh, clean brand as well as custom packaging for her unique artisanal creations. We worked through several iterations, ending up with a modern, geometric MM monogram with matching pattern to add an element of texture. 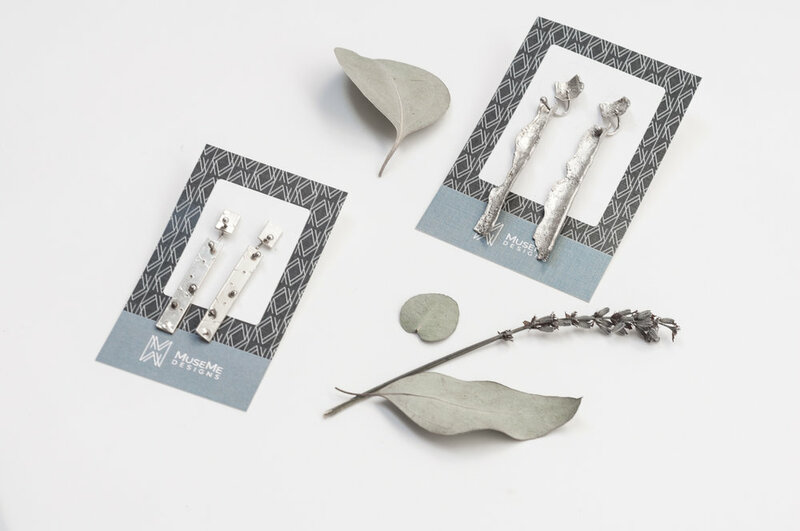 The packaging was designed to feature the jewelry while providing a novel “unboxing” experience with custom die-cut envelopes and necklace cards. Northstar General Contracting had been a staple in Victoria’s construction scene for almost two decades when they contacted us for a brand upgrade. To represent their specialization in restoring Victoria’s heritage buildings, while keeping the brand clean and modern, we made a North-pointing compass arrow of old, rusty nails for their logo mark. Paired with some classy fonts, it makes for a memorable and eye-catching logo, now seen in under-construction storefronts all over the city. The spring at Studio Robazzo was all about triangles—seriously. It all started with a desire to re-engineer one of our flagship aesthetics, the parametric perforated tessellations seen in a variety of projects. It was originally developed using cardboard for the TEDx Victoria stage in 2015, then reimagined as a plywood sculpture in the StalagNight in 2016, followed by a new iteration on the cardboard construction for the Victoria Fashion Week backdrop in 2017. So, naturally, we took another stab at it in 2018, and here’s what happened. We were delighted to be offered a booth space in the Creative Tech section at VIATEC’s Discover Tectoria event in early February, which brings together Victoria’s growing tech sector under one roof for a day of talks, panel discussions, and opportunities to meet and interact with the city’s tech business owners. 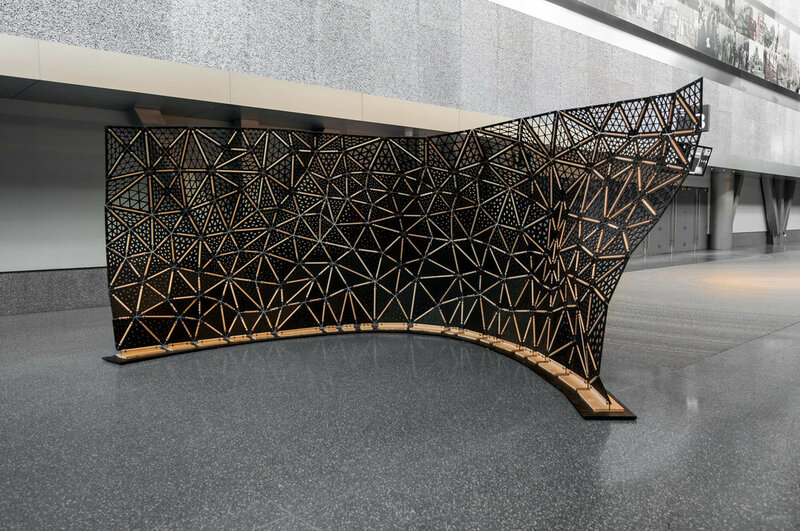 To demonstrate our specialty in parametric design and digital fabrication, we created a prototype office wall partition and brought it with us to the expo, using laser-cut plywood held together with connectors made using a custom 3D-printed table saw jig. Little did we know what would come of this spontaneous idea! 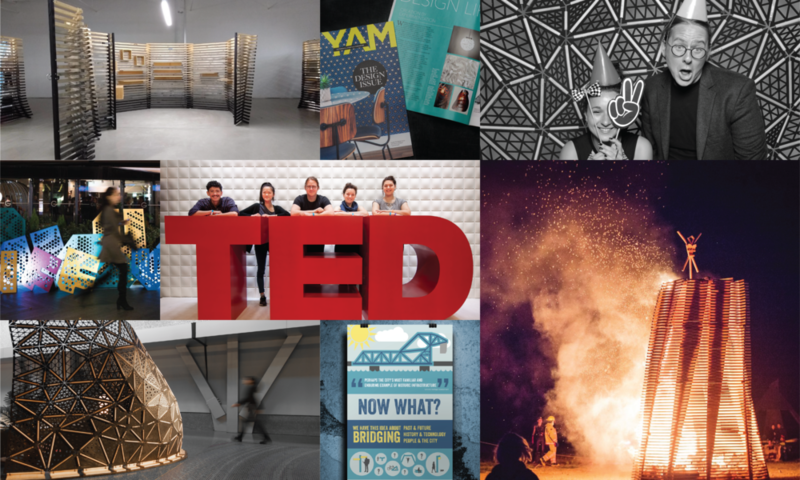 An exciting opportunity was presented when we were approached by the ConnectSeven Group, one of the event planning organizations responsible for putting together the official TED conference hosted every year in Vancouver. 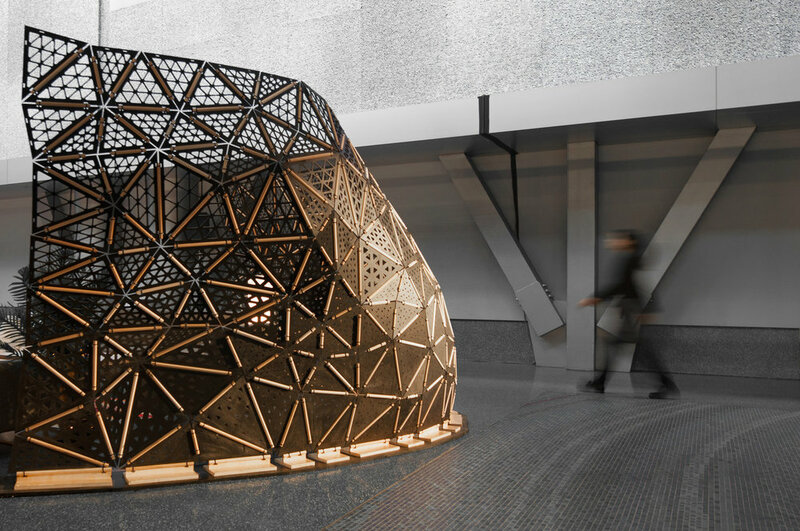 Once they saw the Discover Tectoria prototype, they commissioned us to build three large space-dividing pods for the closing party of the whole conference. Check out the project video by Astros Media to see how we did it. There’s little we love more than the gathering of community, and that’s what our summer was all about. From taking the stage at Pecha Kucha Night and hosting a spectacular 3-year party to designing feature elements for both the local Tech scene as well as Victoria’s burning man community and a charitable organization, it was a time of cultivating those community connections and revelling in all the different tribes we belong to! Now an annual tradition, the Robazzo anniversary party took place in May. We invited our clients, collaborators and business network to a pre-party networking session, joined shortly thereafter by friends and family for a grand celebration. Huge thanks to everyone who contributed and celebrated with us! (Read: FourFrames Photo, RaRa Avis, DJ HoneyDisco, and Ed Nam). Here’s to many more years of Robazzo! In early May, we were approached about a unique opportunity to design the Effigy sculpture that would be burned at Vancouver Island’s regional Burning Man event, called Otherworld. 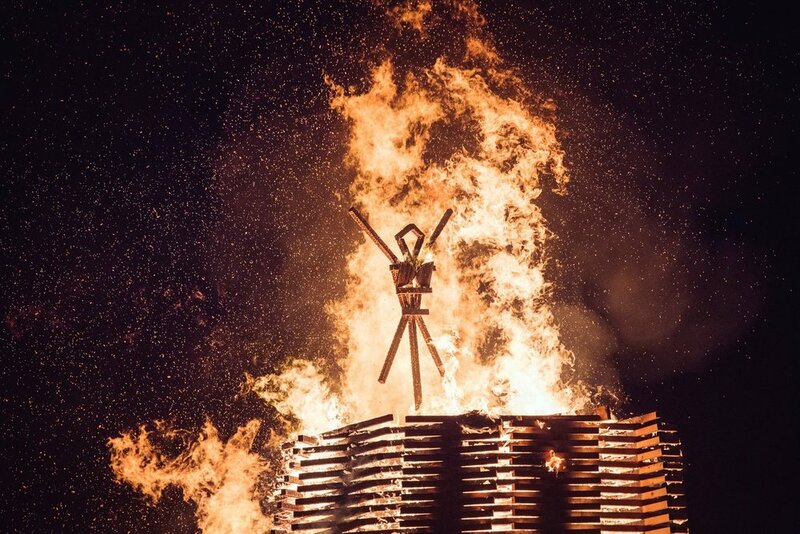 We put our algorithms to work designing a structure that would be easy to assemble by a crew of volunteers, stand impressively tall on the large open site, and burn efficiently and beautifully for all Otherworld attendees to enjoy. The result was nothing short of spectacular; our 20’ sculpture acted like a geometric, parametric chimney, funnelling the fire and smoke in wild spirals for the 15 minutes it took to burn to the ground. 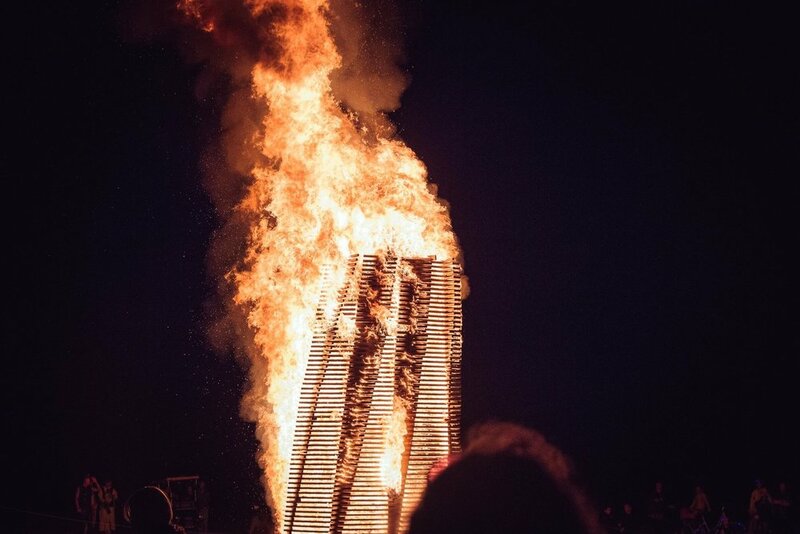 This also represented the first “Burn” for our founders, Andrew and Tinka; it’s only a matter of time before they’ll start thinking about a sculpture for the real Burn in Black Rock City! The VIATEC Awards are an annual celebration of the ever-growing local tech industry, now Victoria’s number one economy. We were honoured to partner with friend and collaborator Jimbo Insell on a larger-than-life parametric stage backdrop for the awards ceremony, held in June. We played with digitizing the age-old art deco aesthetic of Oscar-style award ceremonies when designing the 30’ x 16’ structure. 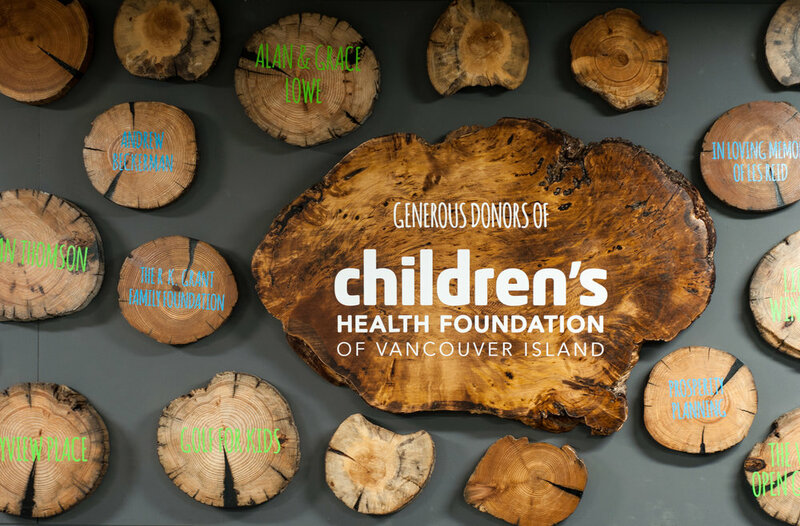 The Children’s Health Foundation of Vancouver Island, a non-profit working to champion the health of every Island family, partnered with Foundry BC on a brand new youth clinic for health and social services in Victoria’s downtown core. 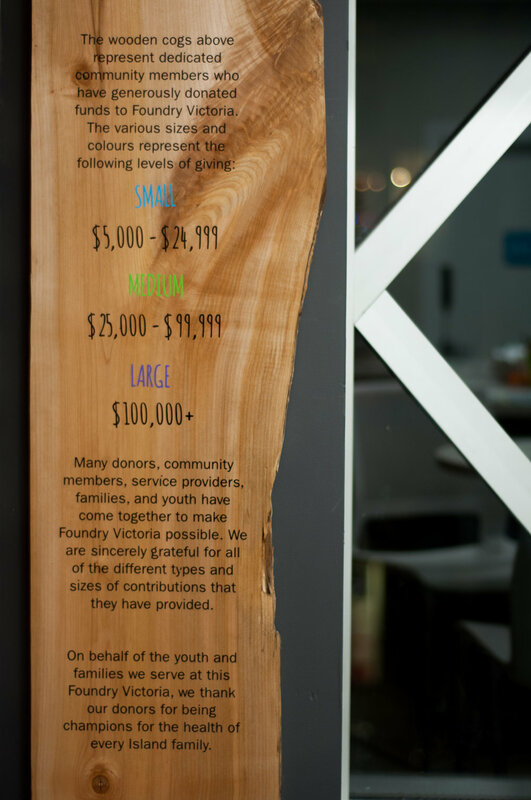 We helped them commemorate their generous donors with a down-to-earth West Coast donor wall in the new space. To keep maximum versatility, we installed a series of metal panels on the wall and hung the driftwood rounds using rare earth magnets. The fall and winter represented a whirlwind of activity for the studio, both internally and externally. 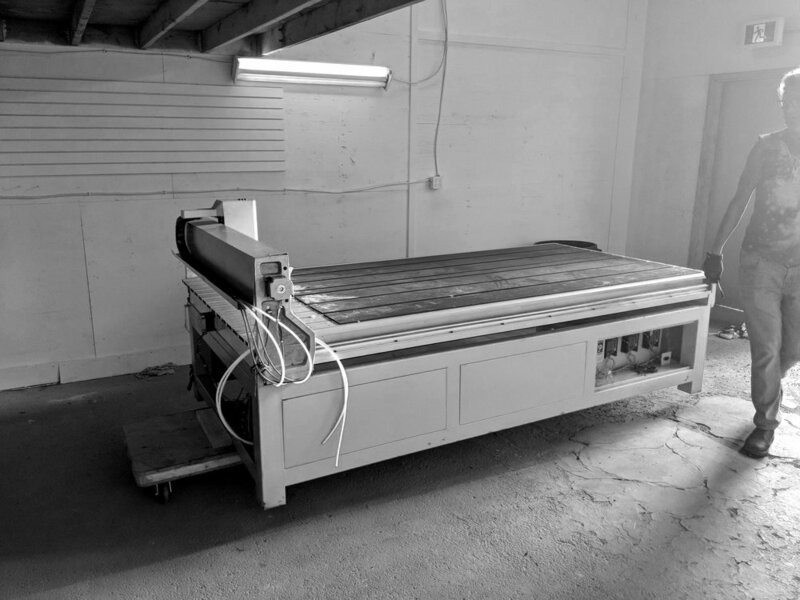 We expanded our operation with the opening of a new workshop space we dubbed the LowTown FabLab on Herald St, acquired a large-format CNC machine (huge thanks to Adam Elliot and Steeve Bjornson for helping us get it operational! ), and took on several large projects at once. Needless to say, we found out why the root of “business” is “busy-ness”! After years of wishful thinking, our once-distant dream of a dedicated wood shop & fabrication space came true with the acquisition of the LowTown FabLab on Herald St, just 2 blocks from the Studio. Around the same time, we also acquired a 4’ x 8’ CNC machine, another once-distant dream come true (thanks, David Boon, for the hook-up). These additions have proven to be total game-changers for the Studio, completely revolutionizing our capabilities and process. 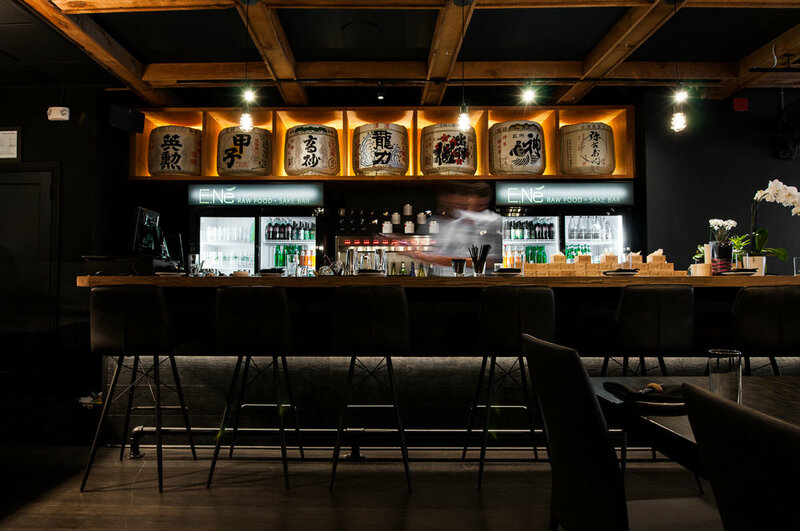 The organizers at VIFF (the Vancouver International Film Festival) caught wind of our installation at TED earlier in the year, and asked us to put together a brand-centred art piece for the entrance of their closing party at GlowBal Restaurant in downtown Vancouver. We put our new CNC machine to work, cutting out large perforated brand elements which were later painted with last year’s VIFF theme colours. Our largest fabrication project to date took place in the fall of 2018; we were commissioned to design and build six beautiful vendor pods for the new CONNECT Marketplace at Mayfair Shopping Centre, as part of its $70-million renovation. 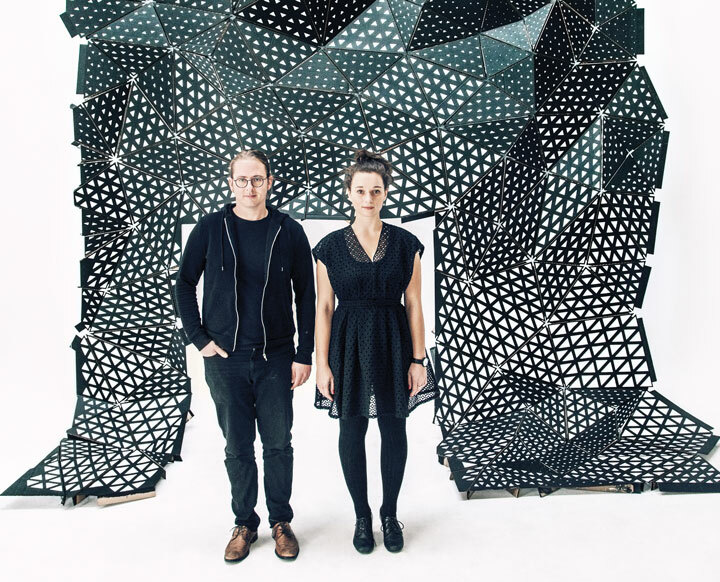 We combined our Otherworld-tested algorithm with the capabilities of our CNC machine to produce the parametric pods and their customizable clip-on shelving. Astros Media once again produced a lovely video documenting our process and result. Check it out to see how this project came together! 2018 brought with it waves of change, opportunity, struggle, and success, as it goes for many companies in their fourth year. We couldn’t have made it this far without the tireless dedication of our incredible 2018 team: Alejandro Rojas, Tia Low, Nic Bermudez, Rory McDonald, Heather Friedel, and Iris Redinger. Thank you all from the bottoms of our hearts for believing in and co-creating the Robazzo vision! Thanks for making it this far! Sign up for our (infrequent) newsletter if you'd like to stay in the loop about what's going on at Robazzo.